Treadmill every day, sometimes twice a day. 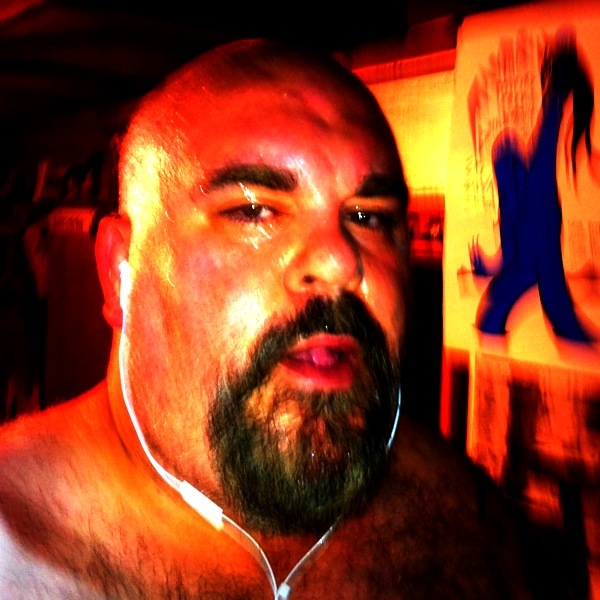 Ate too much yesterday but getting back on the horse again and riding…. Trying to not let a wishbone grow where my back bone is! Here’s something that I’m very proud of – my acting debut. Please give it a look. A lot of talented and very creative people are working on this thing. more episodes to come every few weeks or so. If you enjoy it, please share it with your friends, post in online, etc. This is a total word of mouth deal and we are eager to see how far it will go. Please be advised that it does contain adult orientated situations…. A Little Inspiration for Your MP3 Player! This is free (and wonderful). Perfect for a workout, your commute into work… upbeat music mixed with some very powerful words! Download and begin enjoying right now! I think I have put on and taken off the same 10 pounds three times now. I just can’t seem to break past the 70 pounds lost mark. So besides acupuncture and exercise, I’m adding a 3 day juice fast. I’m hoping that this will finally break the plateau I’ve been balancing on for a long time now. So far today though… zero weight lost but no weight gain either. There is something at least in maintaining. It may take a long time but I’m moving forward. I will not let momentary setbacks discourage me. There is something gained within the struggle that can not be gained without it. 26 weeks into my quest for better health through a mostly plant based diet and increased exercise. Acupuncture has remained helpful to me. I’ve lost 8 pounds in my first 8 days after beginning treatments. My cravings although lingering from time to time have greatly decreased. This still doesn’t stop me from doing occasional boneheaded things like eating way to much steak for Father’s Day. It’s weird actually, despite eating mostly plant based for over 6 months, I think my taste for a good steak will never completely diminish. This is a repeating pattern for me though, make some great gains towards my goal then gain some weight right back. I lack discipline. Some days are good and I am strong but then I fall apart. It’s frustrating but it is life. The other great part about the acupuncture treatments is that my pain is really subsiding. Shoulder pain that I have dealt with on an increasing lever for about three months is now quickly fading away. If I wake up with it in the morning, it leaves quickly. Some mornings I have no pain at all. My ankle also feels a lot better. I tend to think I’ll have a long road to go to get it to where it needs to be but it is feeling better and I can’t argue so far with the results. The needles in my ear to decrease the cravings, reduce stress and bump up metabolism are killing me this time around. With each session, the ears are switched. But this last round hurts so bad that massaging them is nearly impossible. I’m not sure how much of a benefit they are without the massage. The Chinese tea and herbs still taste like dirt and bark but I’m getting by with them. I started out the day with yoga this morning and wrapped up the day with some exercise targeting specific muscle groups. I’m hoping that by my next acupuncture appointment on Friday, I will be able to say that the hard work has paid off and that I’ve lost more weight. Some of my eating this weekend has not helped me though. So now I have to play the catch up game. When I finally get the diet, exercise and treatment all going full bore, I’ll be dangerous. A pretty good week so far on the health front. Maybe after 6 months I’m finally starting to find some balance. The acupuncture sessions are reminding me that making the time for selfcare is so important and vitally necessary. I have my third session today and I’m eager to see what their scale says. My scale here is looking good. I’ve been juicing during the morning lately. I love this Vitamix. It was an expensive investment that was really worth it. For starters, all of the pulp and fiber that a traditional juicer would expel, the Vitamix blends right into your drink. These are important vitamins and nutrients. Why let them go to waste. Juicing gives me a chance to be creative with the ingredients I use and about 95% of the time I enjoy what I’m making. Yesterday I had blueberry and kale juice (with apple and orange). Kale has almost no taste when juiced and is one of the most vitamin packed, nutrient rich foods you can eat. Earlier in the week I had strawberry dandelion juice (with apple, orange and sweet lettuce) which is actually a near perfect combo. Dandelion is very good for your blood but can often be bitter. It is definitely an acquired taste. I find that the strawberries compliment the taste without totally masking it. The morning berry intake is very important. Recent studies indicate that just a half cup of berries a week helps to keep our brains sharp. This is an easy way to get your daily antioxidant intake boosted! I’ve kicked up the exercise regiment a bit this week as well. I still need to be exercising more and this will likely continue to be a stumbling block for me for some time but I will keep working at it. Losing weight is a process. I know that I’d be further along in this journey if I exercised more. Posts here at Johnnysized have been more sporadic lately. I try for 5 posts a week but lately it’s been less. I don’t want folks to think I’m falling off. If anything I am more engaged than ever. I’ve just had a lot of sticks in the fire recently. My photography gigs have been increasing and photo editing is extremely time consuming. I have some interesting things going on musically with my band’s second album nearing completion. And so begins week 25 of my switch to a (mostly) plant based diet with increased exercise in an attempt to lose weight and get healthy. After 6 months, I’m down nearly 70 pounds. The last month or so has been a terrible struggle for me. I went off the rails for a little while and at one point gained about 11 pounds before shedding most of it. But the gaining can happen so quickly and the shedding is an awful lot harder. What I can gain in a few days, takes weeks to take off again. And a lot of the time what further complicates things is that I’m just not disciplined enough. I’m spread very thin with work, family and other endeavors and I don’t make enough time to exercise. I’m working at getting better with this. Lately I’ve been trying acupuncture as a way to help get me through this plateau that I’ve been stuck on. I’ve also been incorporating some Chinese root tea and other medicinal supplements. It all tastes like dirt and bark to me but I’ve managed to lose 7 pounds in 5 days following the prescribed regiment – on my doctor’s scale anyway. That’s a whole separate issue. How the doc’s scale can vary so much from mine is a great and frustrating mystery to me. But as long as both scales are moving in the same direction, I’m happy. My acupuncture sessions have been amazing. Despite often having a very unquiet mind at the start of the sessions, by the end I am in a near dream state. I really feel like these sessions take me places. I’m talking otherworldly here. Maybe they are just taking me deeper inside my self. Either way they are fantastically peaceful. During my last session, I felt energy traveling up and down my legs and through my gut. It was amazing. I felt like a living energy super highway. That’s not overstating the feeling either. I guess it is my energy meridians opening up. Really an amazing experience. This is how the healing begins. I’m so very excited for what the future holds in store for me on this journey.